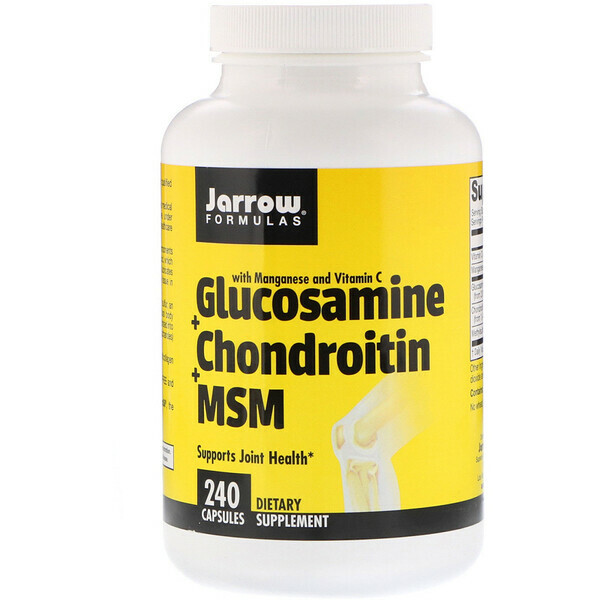 Glucosamine and chondroitin sulfate are fundamental components of joint tissue involved in the production of hyaluronic acid, which is an important component of the synovial fluid that lubricates the joints, and a major component of the connective tissue in the skin. 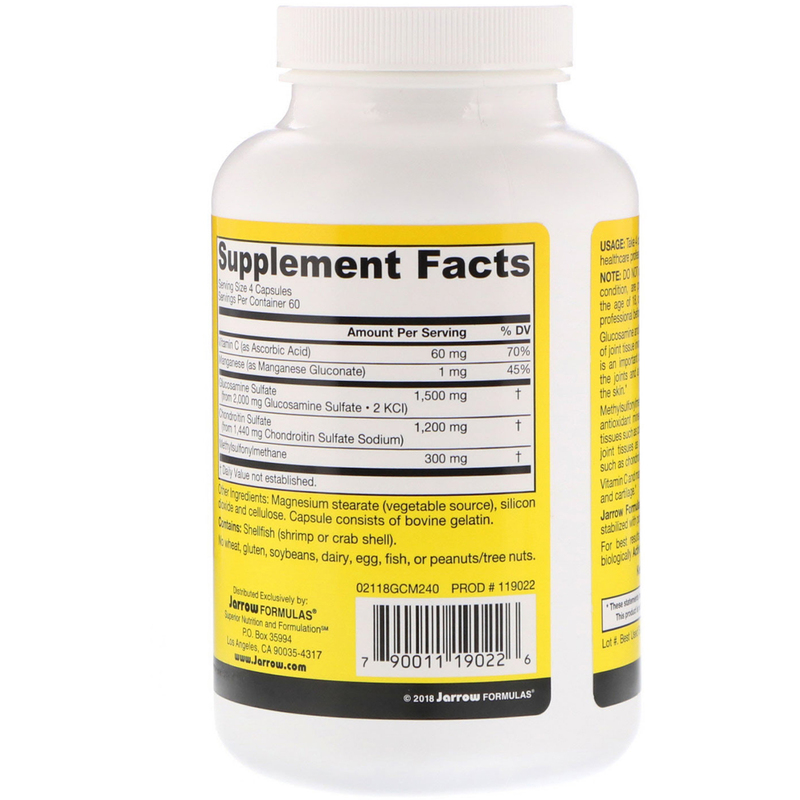 Methylsulfonylmethane (MSM) is an organic source of sulfur, an antioxidant mineral and critical component of structural body tissues such as cartilage. The sulfur from MSM is incorporated into joint tissues as glycosaminoglycans (or mucopolysaccharides) such as chondroitin sulfate and hyaluronic acid. Do not use if allergic to shellfish. If you have a medical condition, are pregnant, lactating, trying to conceive, under the age of 18, or taking medications, consult your healthcare professional before using this product.